[tweetmeme] What did you have for your 3AM snack? Hell, I’m lying, I pretty much eat junk most of the day! None. I was actually asleep at 3 am. Amazing, huh? That would be amazing for me! oooooo, I LOVE chewy Spree! I can never find them around here though. Good to know! There’s a Walgreens a miles from me! Walgreens is always where I get my Lemonade Mike & Ikes. They rock!! 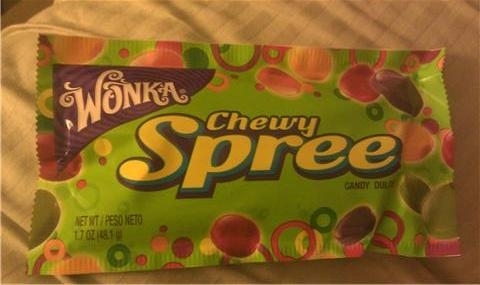 Chewy sprees…i much prefer the regular kind! Considering I have turned into just as much of a night owl as you…I sometimes sneak into the kitchen for a pre-breakfast snack. Mine usually is a couple crackers, or a couple spoons of ice cream, or a couple tortilla chips. Depends if i am craving salty or sweet. Whatever I choose, it isn’t much. Just a little taste so I don’t go to bed and dream of food! I’ve learned I can’t sleep if I’m starving!! If I do, I wake up feeling sick to my stomach and that’s bad…. I’ve been known to go downstairs at 3:30AM and make a bowl of Ramen noodles up…. Or boil eggs for an egg sandwich!! You’re 3 hours behind me time wise now right? 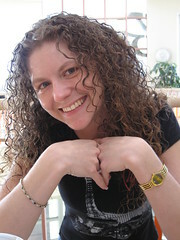 I have big news coming for the blog! Give me a call and I’ll tell you all about it. For some reason I don’t have your number here? ?